A speedy and successful process has marked the sale of two inter-connecting industrial units above the asking price of £260,000 by DM Hall, one of Scotland’s leading independent firms of chartered surveyors. From going on the market on 29 October, the sale was completed on 7 December 2018. 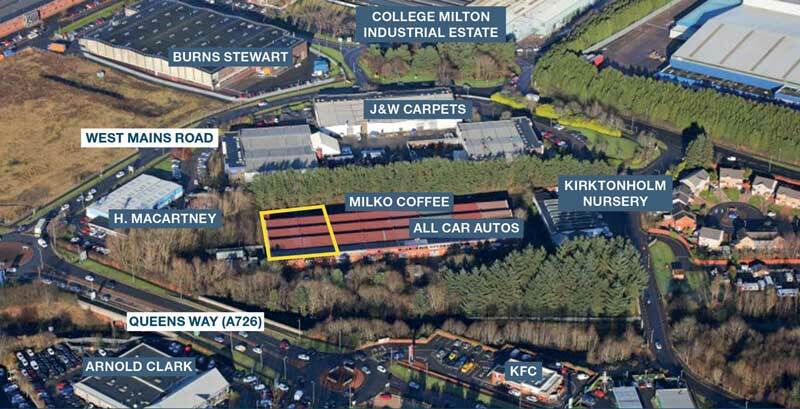 The units, at 18-20 Flakefield, G74 1PF are close to the main roads network in East Kilbride’s long-established College Milton Industrial Estate, have a gross internal space area of 12,696 sq ft. College Milton is a highly established industrial area where the units’ near-neighbours include Burn Stewart and J&W Carpets. Jacqueline King of DM Hall’s Hamilton office who, together with her colleague, Alister Gibson, concluded the sale, said: “the speed with which these units were snapped-up underlines the attractions of East Kilbride, and College Milton Industrial Estate in particular, as an attractive industrial location.